Behind the Scenes: Hello! Magazine Photoshoot! When it comes to sizzling celebrity lifestyle scoops, and insights into the newest and most fashionable trends, Hello! Magazine has always been one of the market heavyweights, and this month, I got to be part of it! The September issue of Hello! 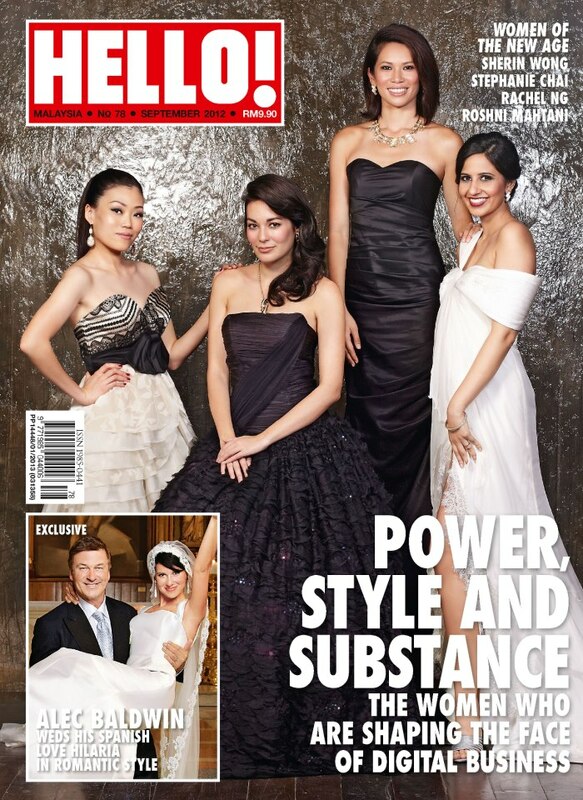 Magazine Malaysia sports four dazzling beauties on its cover, and they are none other than Sherin Wong, Stephanie Chai, Rachel Ng and Roshni Mahtani! These ladies are dotcom entrepreneurs, succesful, vibrant and delightfully stunning. The ladies, taking a breather before the shoot. Most people carry their handphones or wallets everywhere they go. Me? 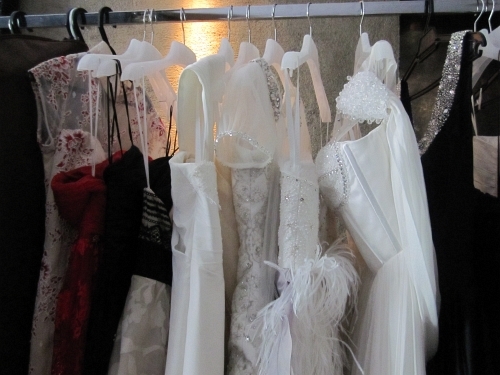 A dress-rack. 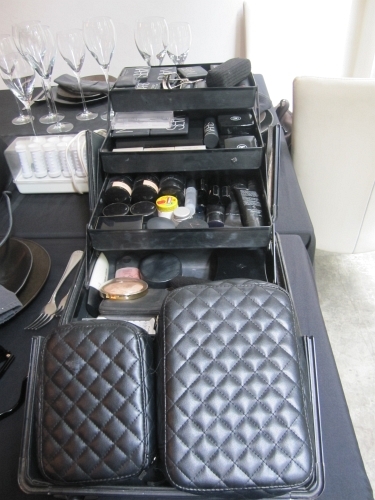 From this tray alone, you can tell that the make-up artist means business. A sheepishly grinning Roshni getting her hair done. When a cameraman stands on a ladder to take his shots, you definitely know he means business as well. A thumbs up to Tian Xing, of Show Up Pictures! I managed to sneak in this shot from afar. The ladies preview their photos on the fly. Stephanie continues to multitask as she works through the shoot. Wearing heels the whole day long can be a tiring process! Roshni and Rachel find convenient chairs to relax in while waiting for the next item. A dark dress, with faded walls in the background, lends an air of mystery reminiscent of Tudor periods. And, voila! This is the shot that makes it into the cover of Hello! Magazine! I just couldn’t resist taking a picture with these inspiring ladies! Kudos to the professionals Joey Yap, Amos Wong and Khir Khalid for the hair and makeup, and Wong Chai Yen as the stylist for the day! 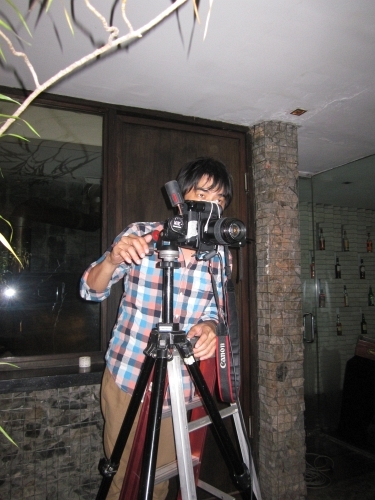 Also, to Tian Xing from Show Up Pictures, great shooting! Many thanks to Christine Leong and Sandra Foo from Hello! for the opportunity to be in on this! Its definitely a privilege to be able to work with you ladies! And last, but not least, a hearty congratulations to the four divas that made all these happen! For more info and pictures on this, and many more items, go pick up a copy of Hello! Magazine from your nearest vendor!